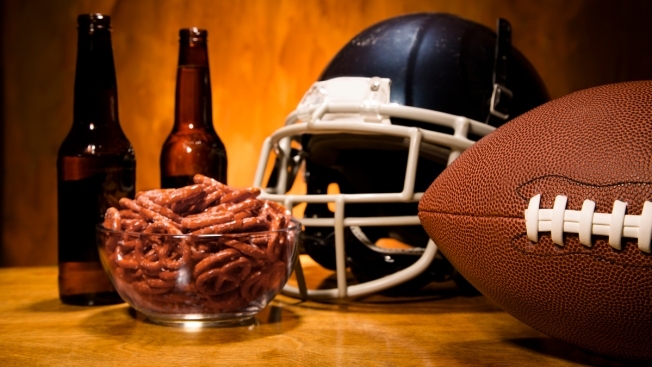 Football sports helmet and football on table with pretzels and beer. Superbowl party! Super Bowl ads usually offer brief opportunities for escapism – from both reality and the big game. Last year’s commercial crop did an OK job of entertaining between plays. But some of the most memorable spots touched on current events in both serious (84 Lumber’s Mexican mother-and-daughter immigration story) and comedic ways (Melissa McCarthy’s painful world-saving adventures). Other standout ads focused on football (injured Patriots tight end Ron Gronkowski and quarterback Tom Brady earned chuckles, before they went home thrilled). No matter what the type of commercial, the test is, to paraphrase the refs, whether the spots warrant further review after the final whistle. The stakes are high: Advertisers reportedly gave Fox $5 million per 30 seconds to broadcast productions that, in many cases, hit the Internet days before kickoff. The 84 Lumber tale of a mother and her young daughter leaving Mexico (go here to see how their story ends) represented a pure heart-tugger – and a potential political button-pusher. Ditto for Budweiser’s movie trailer-like rendering of German-born co-founder Adolphus Busch’s 19th century American odyssey. Gronkowski’s teammate Brady didn’t do much scrambling in Intel’s 360-video spot, which captured his mundane morning routine – until he drew the line at the bathroom door. Febreze didn’t display near as much modesty in its Super Bowl-themed toilet extravaganza. A dad fakes his death – complete with pushing his car off a cliff ­– to get out of his Verizon contract. The mercilessly funny execution scored for Sprint. All Airbnb sold was harmony in its stark and effective “We all belong” ad, which featured a multicultural collection of faces and a hashtag: #weaccept. The commercial’s biggest asset – and jumping-off point for controversy – was its timeliness, coming in the wake of President Trump’s travel ban order. Controversy also seems likely to trail Audi’s ad, showing a grade-school-aged girl competing in a downhill cart race as her dad wonders, in a voiceover, how he’ll explain gender inequality to her. The ghost of beer spokesdog Spuds McKenzie casts a comic specter in this Bud Light laugher that evokes Dickens – and made veteran big-game ad fans nostalgic for Super Sunday commercials that better lived up to the billing.